When I was a teenager, my mother used to get mad that I didn't clean up after myself. When she was very mad, she used to say, "I'm not your maid. You think I am your maid." Should I have picked my socks up? Yes. Is leaving one's socks on the floor a disrespectful action by virtue of a lack of consideration for one's mother? Yes. But does that lack of thought toward one's mother mean a complete absence of respect? No. Is not cleaning up after one's self and leaving the work for one's mother to do an insignificant thing? No, especially not when one's mother sees the negligence as disrespectful. But, is it the summation of the sock-dropper's complete attitude toward his mother? Of course not. Would it be advisable to change one's sock-dropping behavior for the sake of mutual respect? Yes. But can love and respect still thrive if one takes into consideration the myriad other aspects of interpersonal familial relationships that surround the evil sock dropping? I'm still not even sure what to say on this one, even the comparison (as I think I interpreted) between the President and a kid who left his socks on the floor of his room. Correct me if I'm wrong (it's been a while) but the President of the United States is Commander in Chief, right? Would it be disrespectful, then, for an officer to salute that way to his subordinates? Some people may think so, but I don't. The military is structured as a hierarchy, and thus I don't see how a superior can disrespect an "inferior." That's just how I see it. I did just read the the salute is a courtesy. 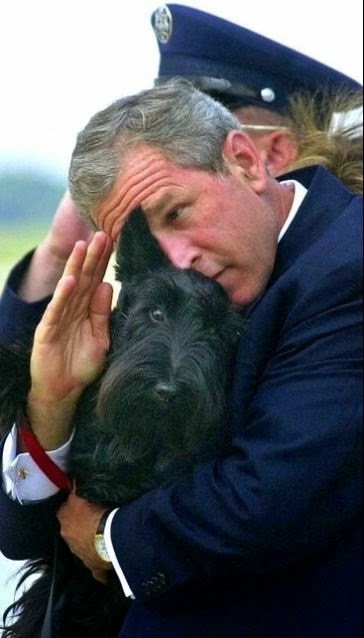 The Pres is not required to salute since he is a civilian.